Arvato CRM Solutions has been named as a ‘Leader’ in an extensive vendor evaluation report for Digital Customer Experience Services from NelsonHall, the leading business process services and IT services research and analysis firm. Customer Segmentation aims to separate a global market into groups of customers that share similar interest or behaviour. It is commonly used in marketing and customer relationship management in order to develop appropriate value propositions and marketing strategies for each segment. Virtually every marketing department uses some form of customer segmentation. At the very least, the segments are identified based on intuition and experience. However, more mature strategies rely on data-driven techniques where clustering algorithms are applied in order to identify relevant segments. The Omni-Channel Lab has taken this approach a step further and developed a new clustering algorithm which is applicable to data streams. This allows to identify segments in a stream of new purchases or transactions, without time-consuming recomputations. We developed and applied our approach in close collaboration with a Spanish retailer in the home furnishings and textiles sector. You can read more about the approach in the official Press-Release from Arvato. Today, top AI researchers, experts, policy makers and stakeholders in artificial intelligence (AI) gather in Brussels to promote the development of artificial intelligence that complements, rather than replaces, human intelligence. It marks the inauguration of “CLAIRE”, the “Confederation of Laboratories for Artificial Intelligence Research in Europe” recently launched by the European AI community. Arvato CRM Solutions is one of the first industry sponsors of the symposium and a supporter of CLAIRE. Arvato CRM Solutions aims at driving innovation with a focus on the integration of virtual and human agents through AI and Machine Learning. You can learn more about Arvato's support for the CLAIRE initiative in their article at Future.customer. In addition, Arvato also published an announcement video on Twitter. The initiative is also supported by Prof. Heike Trautmann and Prof. Jörg Becker, directors of the ERCIS research network. With its inter-disciplinary network of universities, individual researchers and companies, it is an ideal partner to strengthen the AI research in Europe. You can learn more about the CLAIRE initiative and their supporters at claire-ai.org. When do I write my exams? Where is my exam taking place? What are the opening hours of the examination office? The Omni-Channel Lab’s annual summit took place in Rothenberge to review the Lab’s achievements of the last year and define the next steps for exchanging knowledge and potential collaboration with members of partner universities. During the last 12 months, the Lab has focused on digital and data-driven innovation, from systems that enable automated monitoring on social media channels across brands and industries, to ever-more realistic chatbots and accurate recommender engines. And we will be further exploring the potential of quantitative methods and cognitive science, including how the application of smart algorithms, such as recommender engines, can boost sales while also enhancing the customer experience. Advances in artificial intelligence and digital communications are presenting new opportunities to deliver personalised and meaningful interactions with customers, and doing this consistently. However, they can also present new challenges as customer behaviours rapidly change and expectations continue to rise. The partnerships created by the Lab will continue to help us to address such challenges and better realise new opportunities in the short and long-term. One of the strongest aspects of the Lab, and which was clearly evident at the summit, is the partnership between the world of academia and private sector. This brings together the very best theoretical and practical experiences to fuel innovation, which can be implemented in the real world. This collaborative approach to sharing data and knowledge steers us towards new ideas that are relevant to engaging and servicing the needs of customers in an omni-channel world. It’s helping us to create prototypes, concepts, algorithms and overall solutions that meet both the challenges of businesses and customers. The participants reflected the academic/industrial aims of the Lab and included members of the ‘core team’ - Karsten Kraume (CIO/CSO Arvato CRM), Prof. Jörg Becker, Prof. Gottfried Vossen and Prof. Heike Trautmann, Klaus Voormanns and Jiaqing Zhong from Arvato, and three PhD candidates (Matthias Carnein, Markus Heuchert and Leschek Homann) – plus external attendees including, Prof. Daniel Beverungen from the University of Paderborn, Prof. Stefan Stieglitz from the University of Duisburg/ Essen, Dr. Michael Emmerich from the University of Leiden, Dr. Christian Grimme and Dr. Mike Preuss from the University of Münster, and Thorsten Hanisch, Oliver Geisser and Uwe Uhr from Arvato CRM. 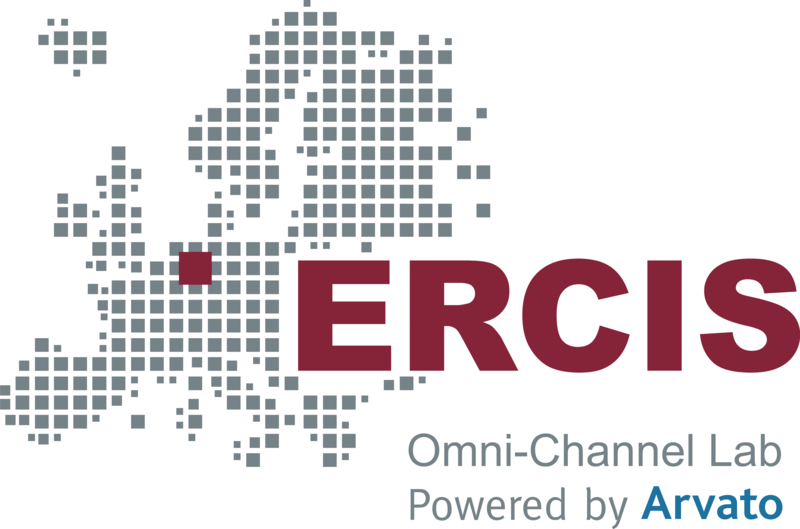 The ERCIS - as an interdisciplinary network of researches in the field of Information Systems - takes a holistic view on the interplay of customer data, channel options, and related processes. It also considers the technical infrastructure in terms of "Big Data" as well as the preparation and analysis of customer-specific data. Advanced analytics gives channel-specific insights into customer behaviour, enables a comprehensive segmentation of customers and interaction in the relevant channels. Arvato CRM Solutions is a leading global provider of omni-channel CRM. With its tech-enabled omni-channel platform and more than 40.000 skilled customer service representatives in > 100 sites in > 20 countries it operates, manages and transforms strategic customer interactions in multiple verticals as HighTech, Banking, Financial Services, Insurances and Healthcare. It provides an excellent base for practice oriented research. The cooperative development of innovative, relevant concepts, algorithms, and solutions is supported by application of state of the art methodologies like design thinking or agile development methods. Arvato CRM Solutions is part of the international service provider Arvato that belongs to Bertelsmann.